Having traveled through Latin America and learned the lingo of different countries. I found that each country have their own unique take on expressing awesomeness in their version of Spanish. Why not celebrate and embrace these difference through fashion? And so ácento was born. 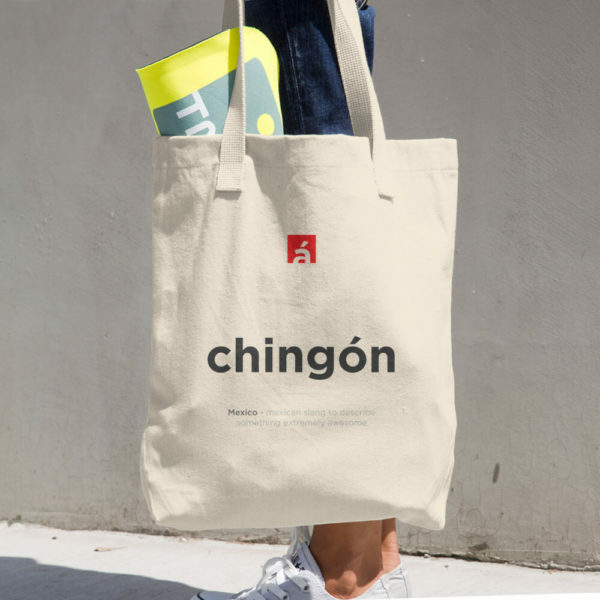 A classic tote bag that'll withstand whatever you throw in it, from books to groceries! • 100% bull denim cotton construction • Dimensions: 14 ⅜” x 14” (36.5 cm x 35.6 cm) • Dual handles About ácento Having traveled through Latin America and learned the lingo of different countries. I found that each country have their own unique take on expressing awesomeness in their version of Spanish. Why not celebrate and embrace these difference through fashion? And so ácento was born.